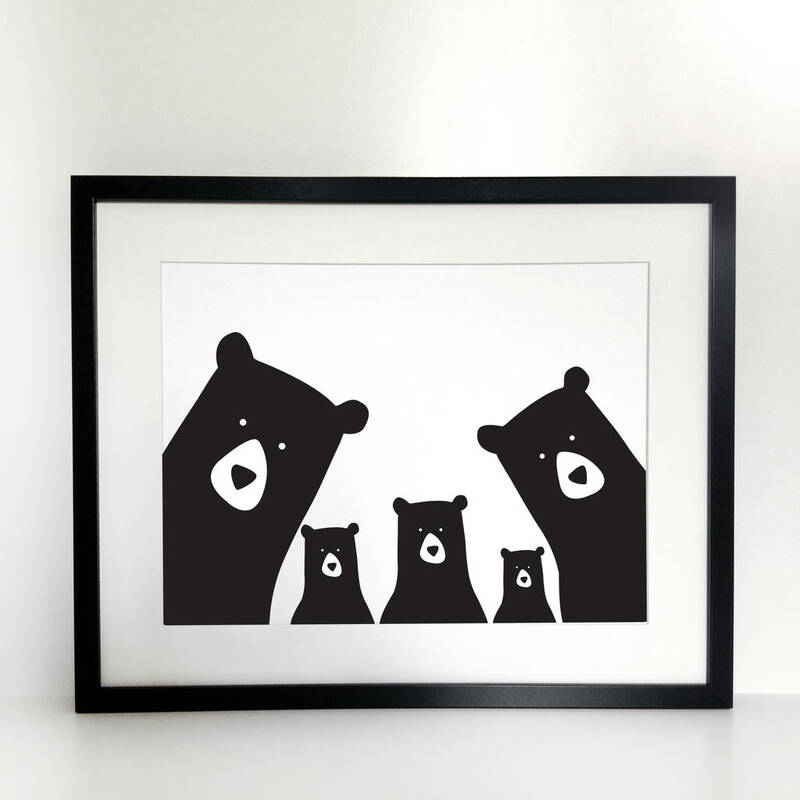 What could be cuter than your own family portrait? 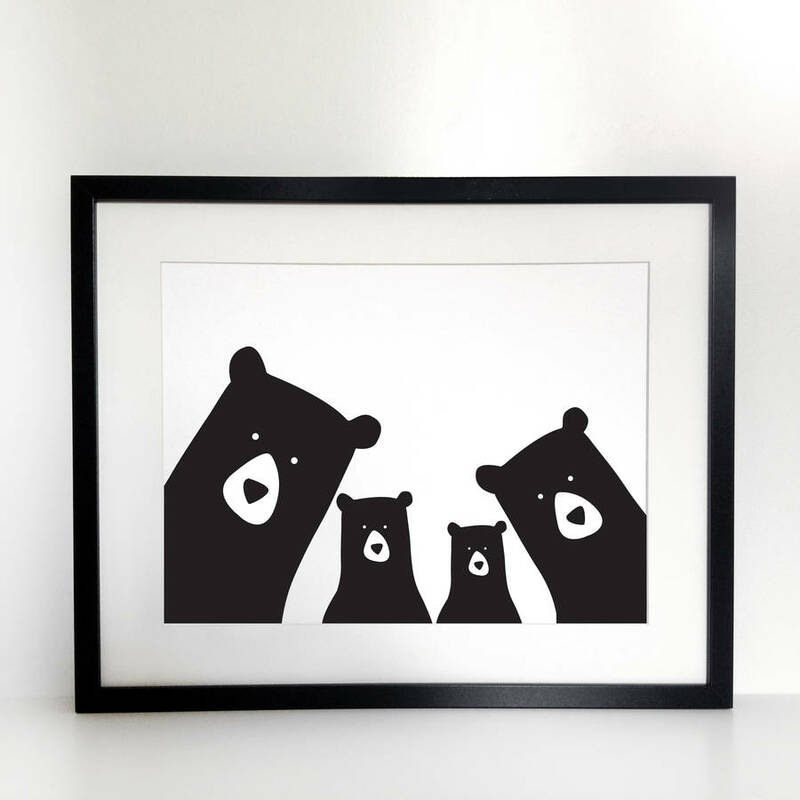 How about a bear family selfie, complete with your unique combination of big and little bears! 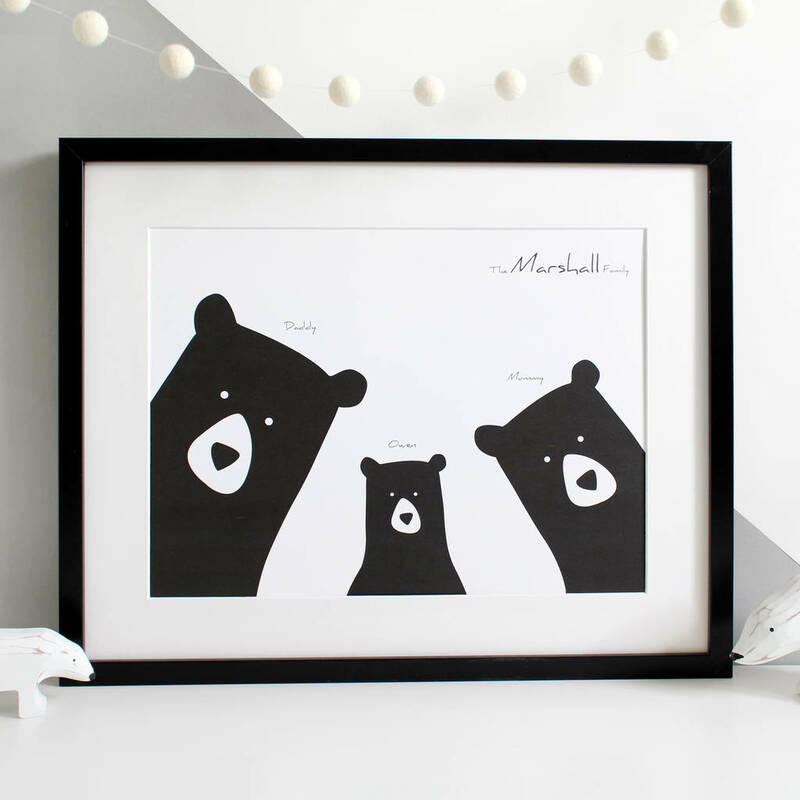 This lovely illustrated bear print is designed in monochrome, and you can choose from black bears or polar bears for your unique family portrait. Kids will love seeing their little (or big!) family on the wall! This makes a great decoration for your home, or can be given as a gift for Father’s Day, Mother’s Day, or at Christmas. Your portrait will be created just for you using our digital illustrations, and printed onto A4 or A3 (choose from the menus). 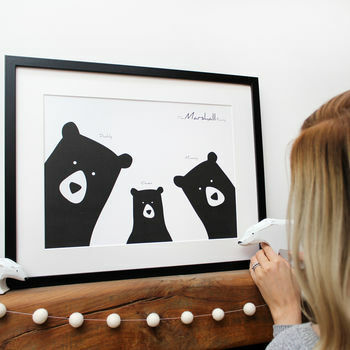 Some designs allow the alternative of a professional framing option, or instead provide your own standard frames from high street outlets. 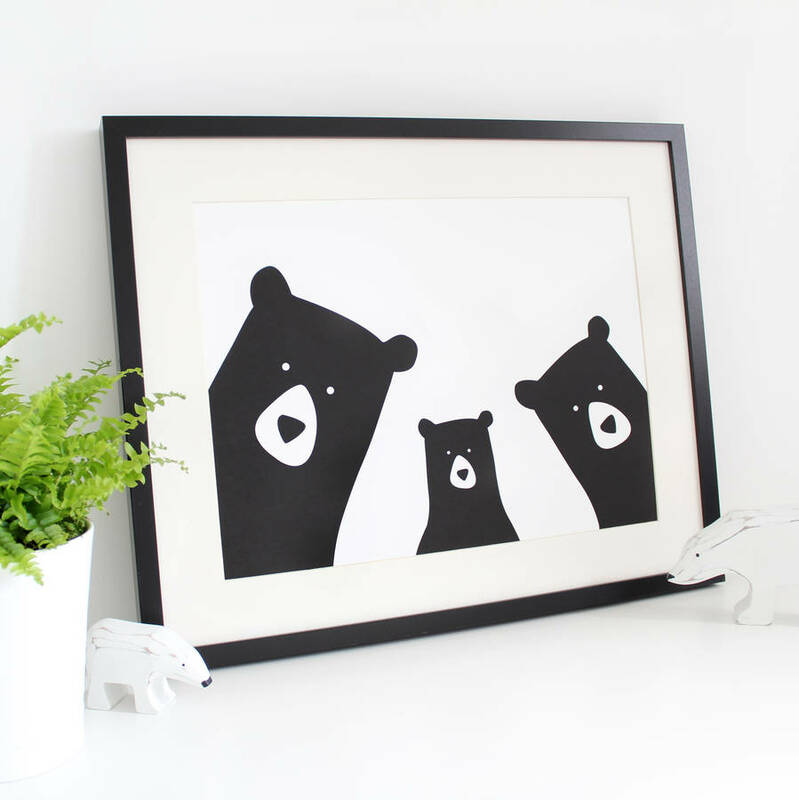 Also avialable in giraffe, badger, foxes, lions, frogs, rabbits, penguins, koala bears, panda bears see our shop page for full selection. You can choose from more common family structures, or create your own. If you do have a particularly big family or would like to create something really unique, we’ll be in touch after you’ve placed your order to make sure we can get everything just right. Please note baby bears will vary in size. If you require twins or have specific size requirements, please get in touch. 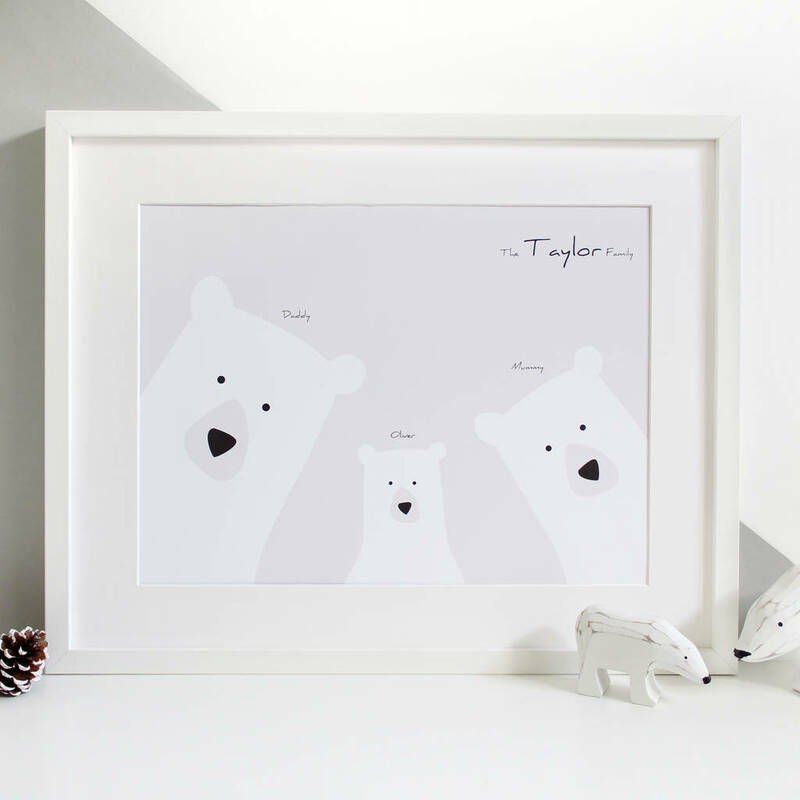 We can also add your family name to the top of the print; text will read 'The [Surname] Family'. You can now also add forenames above each image, layouts will vary depending on your requirements. If you would prefer alternative text, please get in touch when you place your order to let us know. If you require accents please get in touch, as some fonts may not support them. 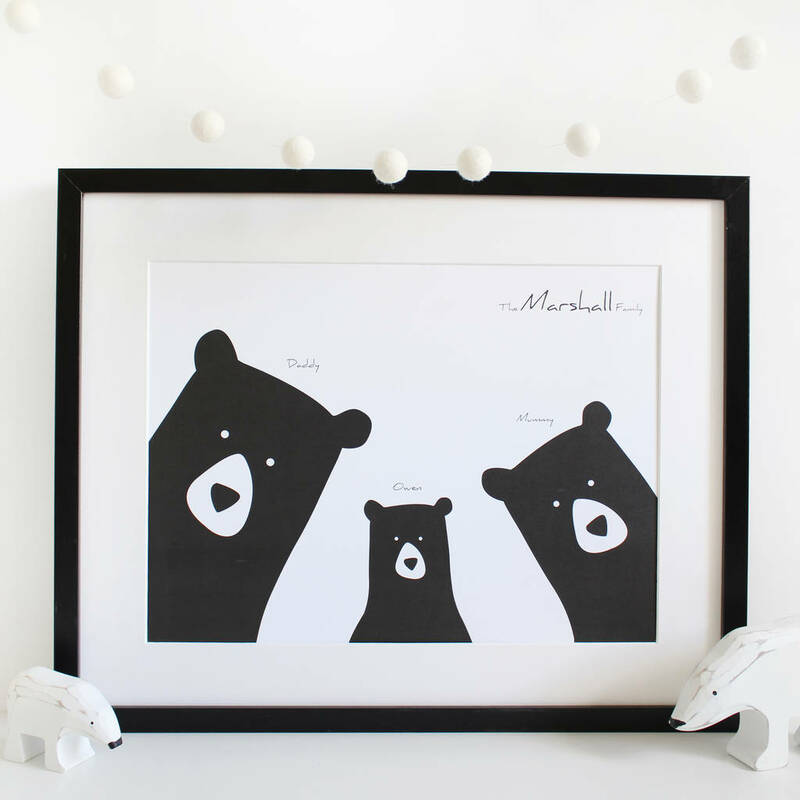 Available with black bears or polar bears (exclusive to notonthehighstreet!). Available unmounted or mounted and framed in black or white. All our frames are made to order by our specialist framers using solid oak, acrylic glazing and a sturdy cord fixed on the back. Our framers are members of the Fine Art Trade Guild, chosen for their high quality and reliability. Print: High quality paper and ink. 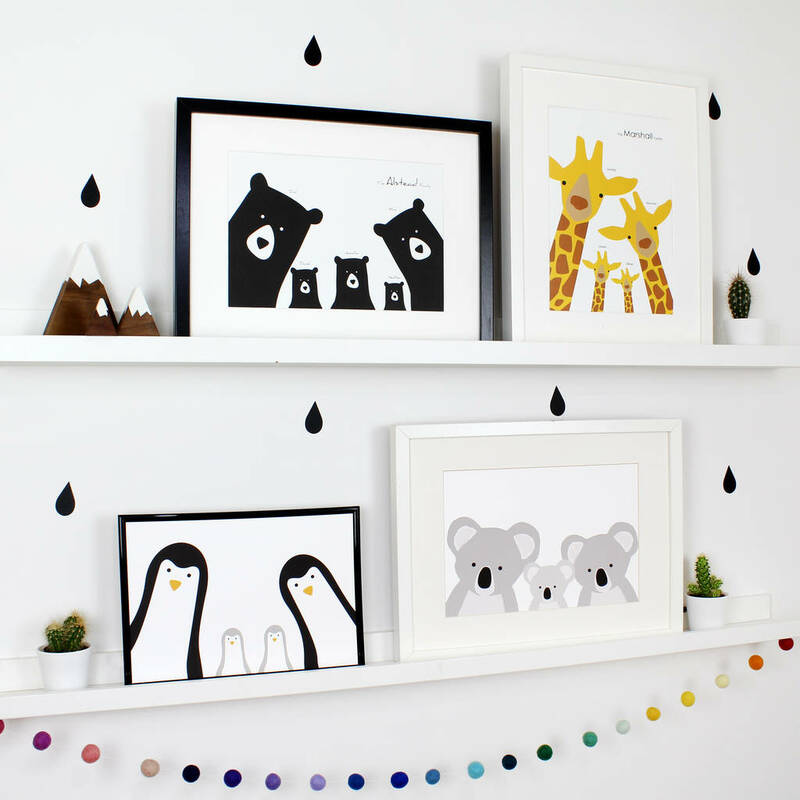 Frames: solid oak with black or white paint finish. 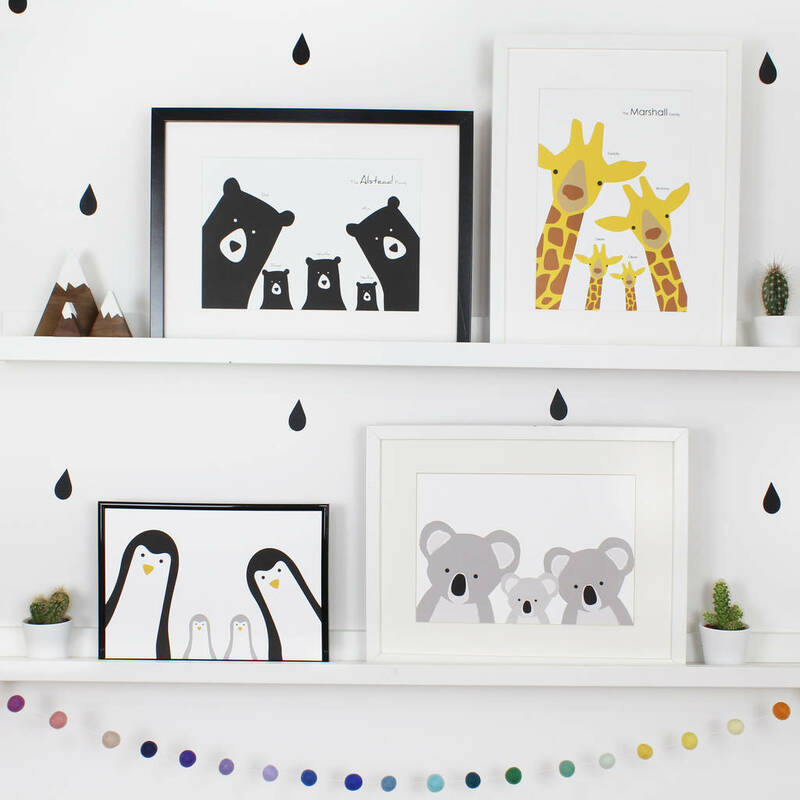 Please allow 7-10 working days for delivery of framed prints.